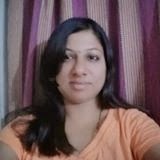 Hi folks, today I have Yamini Vijendren on my blog. Let us get to know her through this interview. I do not generally write keeping a genre in mind. However, I find it most comfortable to write romance or drama, rather than a thriller or comedy. I guess that is thanks to my own emotional make-up. While reading too, I tend to gravitate more towards romance and drama than anything else. The protagonist of this book has shades of me, as, I suppose, is usual with most of the first time writers. She also has been sketched based on my mother’s and paternal aunt’s youth, from the stories they used to tell me and from the images I have formed out of those stories. Full Circle is the story of love, lost in youth and found in the golden years. However, given the way the Indian mind is conditioned, accepting love in old age is something we are not very accustomed too. So how my protagonists overcome their own inhibitions to take the plunge, after all these years, is what Full Circle is about. The main character in my book is Malini. A docile beauty in youth, Malini is a typical traditional Tamil Brahmin girl, who dares to dream of finding her own love, but is unable to pursue it against the strict dictums of her father and her community. With age, however, comes the wisdom and the broadening of outlook, due to which she decides to go in search of what she lost when she was young. Somehow, for me a writing desk never works. Although I fantasize having a proper, organized desk, most of the days I end up sitting on my couch, with my legs propped up on the foot rest, a cushion behind my back and the laptop on my lap. I am definitely a plotter. My plot brews for sometime inside my mind before I start putting it down in words. Both have their own pros and cons, although self-publishing is here to stay. I guess having your book accepted by a big publishing house and gaining their backing is a great experience in itself, and that would definitely be my first preference. Well not entirely sloppy, but my first draft usually takes the course my mind envisions, whether it is logical or not. The course corrections, reasoning and logic etc. come later. I try not to stock up work and end up with such a dilemma as much as possible. However, it depends on what is more important at that point of time. Today is my son’s birthday, but I also want to be talking to you all about my writing. So here I am, sitting up in the wee hours of morning to pen down my responses before I get busy with the birthday preparations. The former is what I wish for, the latter is what I end up doing. What’s your favourite wish as a reader? To read an Indian mythological fiction that makes sense and is also well written. I was completely taken in by the concept of the Meluha series, but the writing left a lot to be desired. I am but a book and a few stories old. I have just started the journey and have a long way to go. In fact, I believe, being an author is not a destination, but a journey in itself. It is the support of my readers and followers that keeps me motivated and pushes me onwards in this journey, and I am immensely thankful to everyone for that. 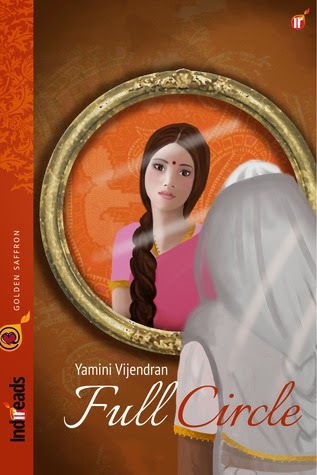 This post is a part of the book tour for Yamini being hosted by TheBook Club Tours. Check out other posts in the schedule below.